The Carlson Center is co-sponsoring the U-District Clean Up event on Saturday, May 10th. This event brings neighbors, students, families, churches, local businesses, youth groups, and non-profits together to give the U-District extra shine just in time for the U-District Street Fair. 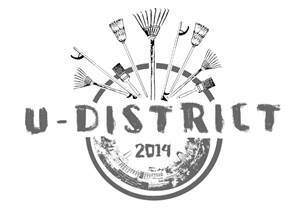 Come rake, sweep, paint out graffiti, pick up litter and have a swell time! Be part of the greatest trash contest in the city! Compete in the following categories: Most Romantic, Best Mother’s Day Present, Most “Ave-worthy,” and Best Lawn Ornament! Prizes from many local businesses, including the Grand Prize — tickets to Bumbershoot!!! – 12:00–1:30pm – Pizza and Trash Contest! Breakfast & Lunch provided. Free T-Shirt for the first 100 people to sign up! For more information, please e-mail udistrictcleanup@gmail.com or call Karen Ko at (206) 233 – 3732.